Safari on Windows. All part of an all-eggs-in-one-basket strategy. Apple’s Safari browser coming to Windows PCs near you – Pocket-lint.co.uk — At first I was baffled by the announcement that the Safari browser would be ported to the Windows platform. Why? It’s a novelty browser anyway. Well, it seems that Jobs wants to allow users to develop apps for the iPhone via the iPhone browser. And the iPhone browser is a Safari browser and to make sure all users have access to Safari he ported the thing to the PC. You don’t really think this had anything to actually do with market share do you? That said, why doesn’t Jobs release an API for the phone itself rather than this sort of “web app” approach to software. It’s a crappy way to do things. Steve Jobs fired a quick dig at Microsoft Vista today with the announcement that the company’s next operating system codenamed Leopard and due out in October would cost $129 for the Basic version, $129 for the Premium version, $129 Business version, $129 for the Enterprise version and $129 for the Ultimate version. The announcement, which played on the fact there are numerous versions of Windows Vista, came as the CEO of the company announced that its Safari web browser would soon be available on Windows. first apple moves to intel, now apple moves their browser to windows. How much longer till apple switches to windows? Whatever, they cant even get iTunes right under Windows, I aint going near this bowser, pun intended. I’m already using Safari on my XP box. It’s slick. Go comment in Cagematch too . . . I personally won’t get rid of Firefox, because of the great add-ons. Why the hell doesn’t Apple just release Mac OS to run on PC’s. They consider themselves a software company that happens to make beautiful hardware. Despite this, they refuse to release mac OS. If they really wanted to take shots at MS and increase market share, they would release their beloved operating system. I remember what you said a while back John – Apple OSX or at least its apps could become an ‘executive layer’ of software on top of Windows. Why not. In a few years you’ll wake up and find the most common apps you use on your windows machines are from Apple. Scary but now more and more possible. Apple Computers – a company that for the longest time distinguished themselves with their top-notch hardware – is now just plain Apple – and Jobs says they’re a software company. 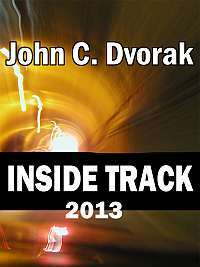 THANK YOU JOHN C DVORAK! C’mon Lauren… Type something outrageous and insulting! Don’t let me down! The next Apple OS release is code-named Longkitten. It’s code will mostly be comprised from the Vista source. I have to agree with John on this one. I have numerous PCs and Macs and remove Safari as a matter of policy. It’s a toy, a broken browser – full of memory leaks and incapable of functional FTP. It is quick because it is tiny, like Firefox Portable. I distribute my department files off an internal FTP server, which users can interface with via a secure web page – making Safari essentially useless. Safari is the best RSS aggregator out there. Bar none. Admittedly, that’s mostly what I’ve used it for; but, I downloaded the S3 beta, today, to give it a for-real try. Unlike some of the commenters, I haven’t (1) a crystal ball or (2) any particular axe to grind about MSoft v. Apple. Preference, yes. Over the last 25 years, I’ve switched OS a few times, experimented with many more. Mac fanboys and MSoft fanboys are both just as silly. The only thing sillier, more stupid – are those who feel required to be “anti” one or the other. Absurd. You’re back to being religious, dudes. #1, #9 why would you want your OS built upon any part of Windows. You could simply allow the far superior OSX to run on non Apple hardware. I think if they ever did that, it would put desktop Linux to a quick death. Jobs hired Wozniak to write some code for Atari, Breakout, I believe it was. He split the $1500 fee with Woz. It turns out he was paid $2500. He stuck his then best friend for $500. This is the guy thats not greedy and evil like Gates? I really don’t recommend Woziniak’s book. He comes across as a perpetual twelve year old. Release OS X for the PC and hope 3rd party hardware providers write decent drivers for it (OS X)? On top of that MS gets paid too for that copy of Vista that the PC came with? Doesn’t sound like a winning strategy. Didn’t work for OS/2 and IBM who had a lot more credibility with the PC crowd than Apple does. I know many OS/2 fans who just gave up because they got sick of not having drivers for their particular hardware. Q: That said, why doesn’t Jobs release an API for the phone itself rather than this sort of “web app” approach to software. It’s a crappy way to do things. A: Because that crappy way is already being embraced by the Dashboard community, and it’s a continuation of that thinking on a larger scale (web applications). Further, on the phone itself, it will be easier to secure web apps than code, regardless of what API it uses. Is it a perfect solution? No, not if you want to write full blown applications for the phone. But, if you want to write an application to make your phone ring every time the Cardinals win, or to access an inventory system, it makes perfect sense. Now, someone get a stopwatch out to time how long it takes someone to write a push e-mail web application for Exchange/Outlook. SLIVERLIGHT is going to be the development platform of choice for the iPhone. Porting this browser does two other big things for Apple. The biggest is how it helps their switchers. Consider what happens when someone switches to Linux. Not only do they need to switch the OS. They also have to get used to a new email program, a different multimedia world, switch from MS Office to Open Office, etc. It’s an applications switch as well as an OS switch. Not convinced? Consider how many would dump Windows for Linux if only MS Office was on Linux. For the home user, Apple’s target switchers, what do they do? They use iTunes, they browse, they email. They do some other things, like game, chat, etc. But, by far the commonality is browse, iTunes, email. Those considering to switch to Mac OS can now install Safari, and make that portion of the switch early. They test drive Mac a bit further before committing. Then, the final switch just involves the finder, email, and some miscellaneous. Their browser, and iTunes are not a switch. The second thing is that it really does refine Apple as a web terminal. If something works in Explorer, but not Safari 2.0, people just shrug it as a Windows thing. With Apple on windows, it makes sure they are supporting all the relevant web stuff, whether or not it’s windows media files or whatever. Users don’t know about open standards. Users know they try to click a link, and Safari doesn’t work. If it’s on Windows, their developers have a leg up in patching it, then porting that to the Mac, the iPhone. Just think aobut it for a second … iTunes has a powerful ability to share on a local network. I’m betting Safari will have a similar ability with the iPhone between whatever computer you use it on. The real problem I have is the font antialiasing, it’s hideouse! It reminds me of the font antialiasing on Linux! Great, now I can buy a mac and Parallells and use Vista to browse on Safari. Just need some Taiwan manufacturer to Hire a good design firm to design their machines, and do away with Cupertino expensive hardware. It’s simple: It will have to deal with the near infinite component configuration just like windows has to deal with. It is not all about the iPhone, at all. This is part of the long-term loss-leader strategy that Apple has perused against Microsoft for sometime now. The “switching” affect of the iPod with “free” iTunes software as a loss leader has been limited, now Apple hopes that with the iPhone and Safari combination, they will see an even greater take up of Mac’s. Now if only they would take up the pricing strategies of Gillette with razorblades and give me a free iPhone, I would promise to buy content and software, honest! I was initially excited about getting an iPhone, and was happy that I already had Cingular service so should be able to upgrade to an iPhone on one of my old lines. However, thinking about it for a while and reading that iPhone won’t use MediaNet, I’m wondering exactly what the data plan is going to be for iPhone. AT&T isn’t talking yet, so I’m anxious that Apple is going to produce a neat device and AT&T is going to f*** it all up with some quirky by-the-kilobyte data plan. If I can’t transfer my unlimited data plan to my iPhone, I won’t be getting one, and I’ve been looking forward to it for 6 months. Why I installed Firefox on my Emac again?….. oh, no ads and more privacy from free add-ons. Ill pass. Is everyone missing this… the big news is that SAFARI is the new OS X!! Come on, wake up people!! Perhaps check out the stats, none of mentioned above matters in any way on the market. Mozilla K-Meleon = safety, security, lightweight, stable, almost perfect, and its name does not start with an “i” (because it should have been iSafari or iBrowser if it comes from iJobs 😉 What else do you want. Are we sure this doesn’t have anything to do with Google? Wow, posting with Safari now. First thing that strikes me… Apple is really behind in the browser wars two point oh. First thing I noticed is this horrible font that apple chose. OMG what is wrong with that?? It is not even wrong, just broken, they are all blurry. So in an effort to make it readable, I try to scale the website, and changing the text size breaks the web page. OMG apple is impossibly behind ie7 in website scaling. Oh my bad. I see what happened now, Safari simply doesn’t support the concept of changing the rendering size of a website. It will only enlarge the font. While IE7 will both scale a website, and change the font size. #32 You probably didn’t click here and upgrade to the pro version for $29.95. It is Apple you know.